I recently had the absolute honor to go on a Global Routes service trip to Tanzania. Being a sophomore, I was the youngest of the girls to go on the trip, and although I was nervous, as soon as I got there, all my nervous feelings floated away. Before this trip I had never taken part in a large-scale community service project, especially one as intense as this one. Once there, I quickly bonded with everyone through the service aspect of the program. I think that community service is so important to me because I love to help out. Big or small, I just want to make myself useful. Building the school classroom, I found strength in myself that I didn’t know I had, both physically and mentally. I found myself becoming so centered and realizing what is important to me and what it means to be a person of the world. 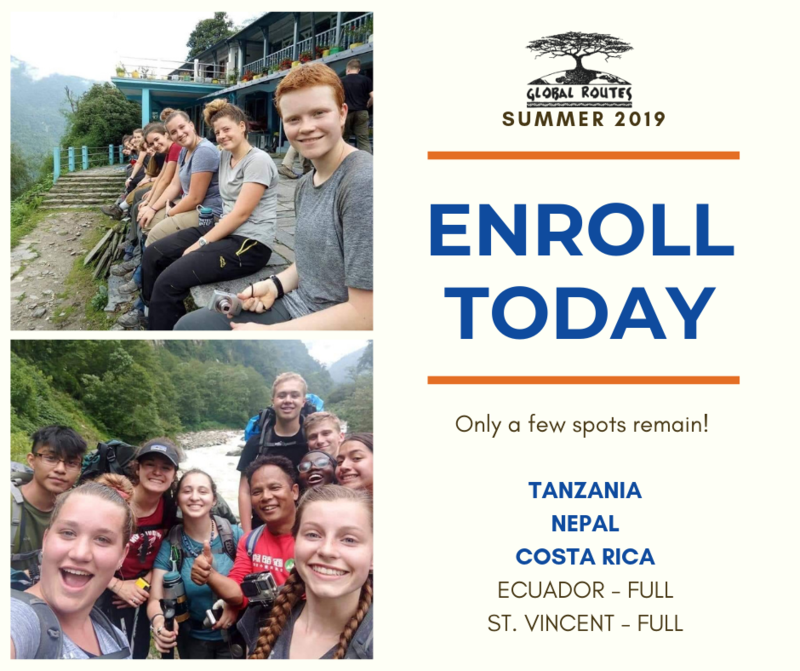 I would recommend this service trip with Global Routes to anyone who wants to grow and who has an open mind. I think that I have permanently been changed for the better and will forever be grateful for my leaders and all the girls on my trip who have turned into my family. Me with my group in front of the mural that we painted. I went into this program only being acquaintances with a few of the girls and not knowing the rest of the girls at all, and I came out feeling as close as family with all of them. 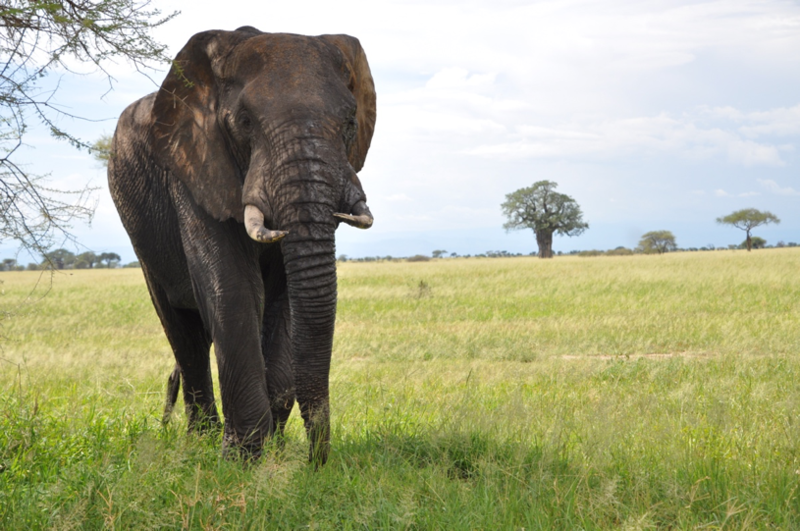 My elephant friend on the safari who gave us a honk after we got a little too close for his liking. No hurt feelings from either party. 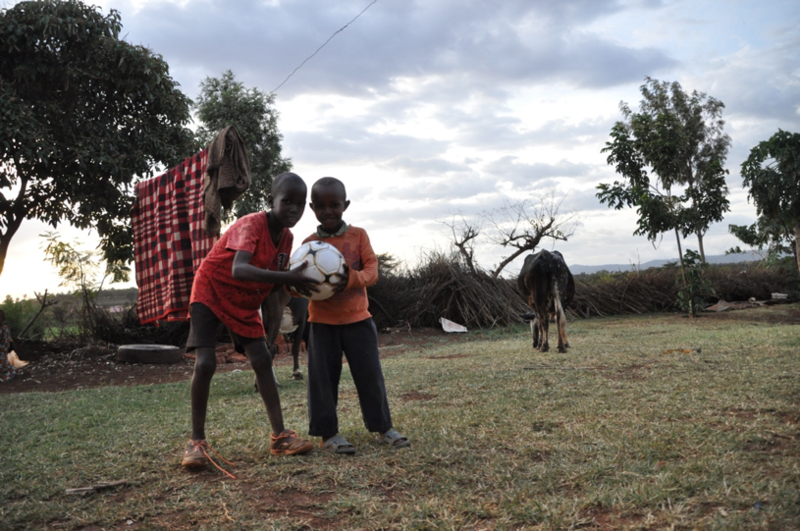 My homestay brother and his friend posing with their new soccer ball. We loved to play out in the yard. The beautiful view from our hut on our first morning in Tanzania at the United African Alliance Community Center. 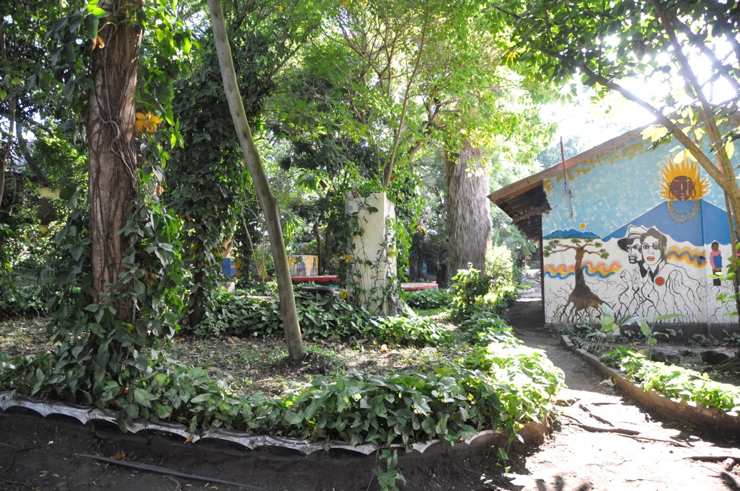 All the buildings were ornately painted and the grounds had beautiful trees and plants that made you feel like you were in a whole new world. My construction crew, the Simba, and our fundi at the work site. All smiles after a hard day of work. Each year, students like Emma Wall, return from their Global Routes program with a thirst to travel, a broadened view of the world, and a new perspective on what really matters to them. 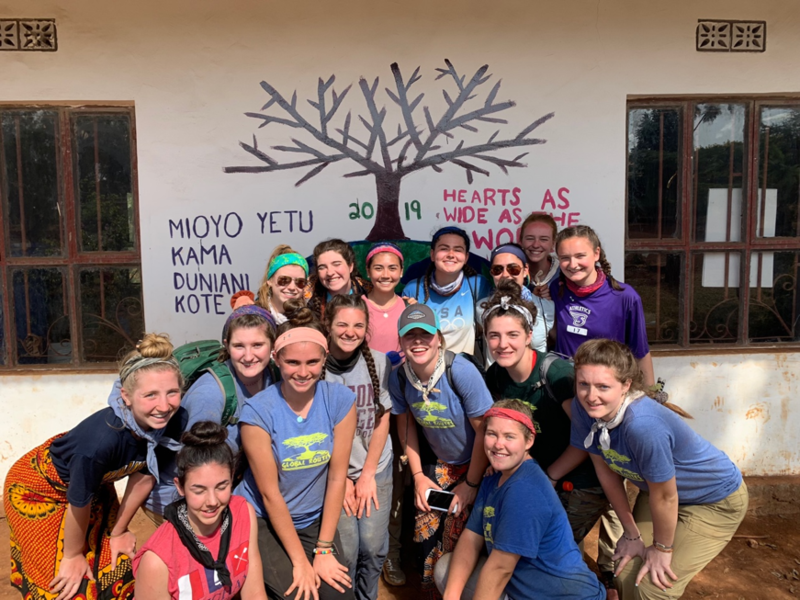 Even though Emma was the youngest student on her trip, she soon realized that meaningful connections can be built across continents, language barriers, nationalities, and ages.